Contests can be excellent sources of inspiration. That may be the case for Kingmarshy, who is competing in the 2018 Bio-Cup. The tournament is centered around Technic and Constraction creations, and this entry was submitted for the 3rd round. The round is themed “The Future” and this is subthemed under “Utopia”. There’s a lot of really great parts usage in this fun little build. The ribbed hose for the skirt is one example, and the Throwbot Technic gearbox pieces are also a great addition. 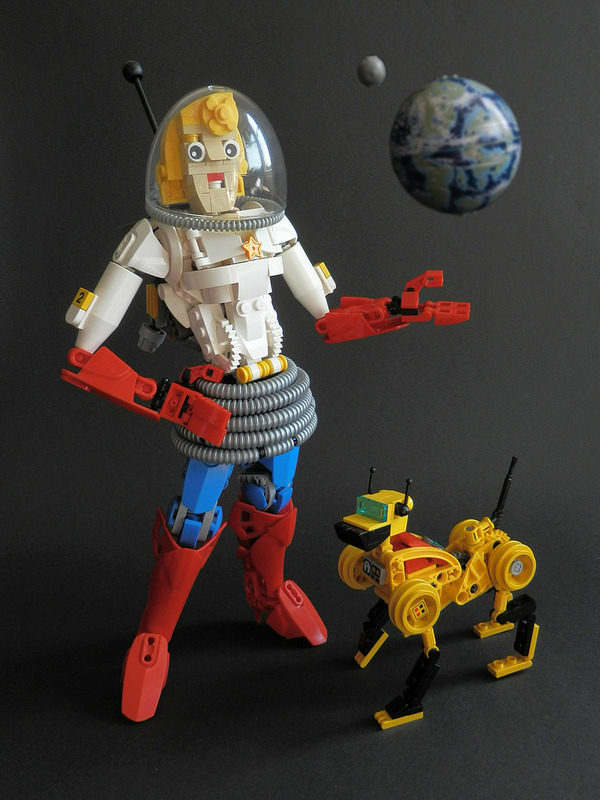 My personal favorite part is the design of “GD-801” the robo-dog. The harpoon gun tail and retro wheels for shoulders really give him the perfect sci-fi look.